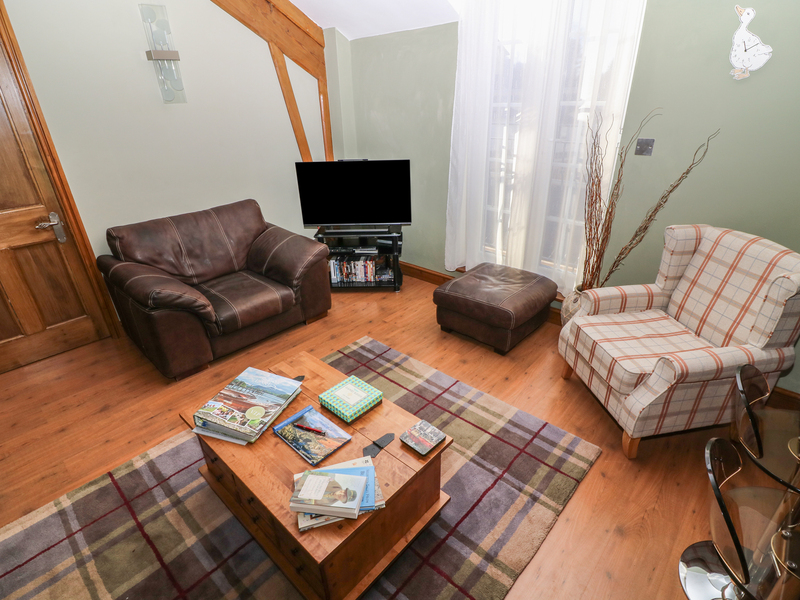 Miss Potters Loft is a first floor apartment offering wi-fi and parking located int he village of Bowness-on-Windermere in the Lake District National Park. Boasting two bedrooms comprising of one super-king size double (zip-link can be a twin on request, please request this at least 14 days prior to arrival) and one double room. Bathroom with shower over designer bath, WC and basin. Open plan living and dining area with kitchen, with Juliette balcony. 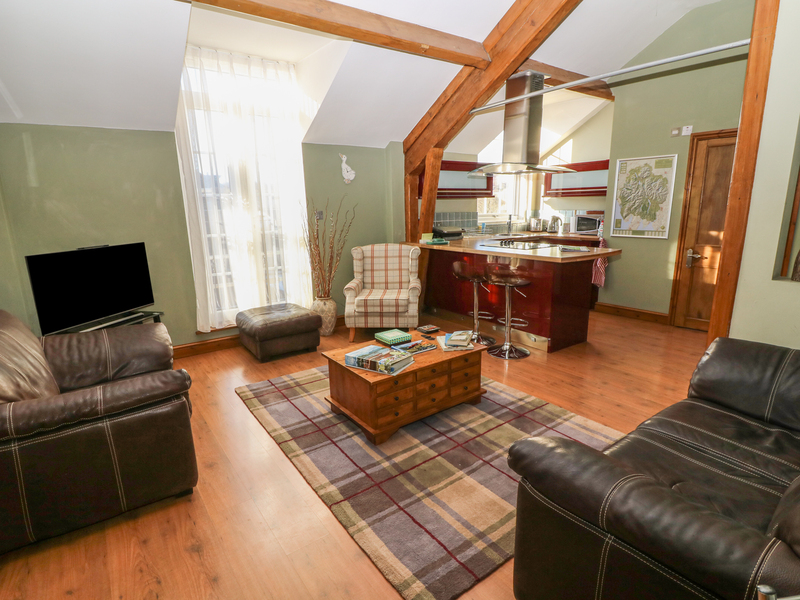 To the outside of the cottage is off road parking for one car, this apartment is perfect for exploring the Lakes the surrounding villages. Gas central heating. Electric oven and halogen hob, microwave and fridge. WIFI, Smart TV, DAB digital radio, CD, DVD, Nintendo Wii. Fuel and power inc.in rent. Bed linen and towels inc. in rent. Private off road parking for 1 car. Juliette balcony. Shops, bars and restaurants on the doorstep. Note: Max 4 adults. Note: Children to be supervised on the Juliette balcony. Note: 14 Days notice required for zip-link twin bed configuration. Sorry this property is not suitable for children under 12 years old. Pets are not allowed.